The very notion of what “honey” is seems obvious. It is not. Four years ago I wrote about one of the food world’s priciest scams, Kobe Beef. Consumers were outraged over the blatant restaurant rip-off, and that became the most read story out of hundreds that have appeared here, with over 1.5 million readers to date. But as it turned out, Faux-be beef was just the tip of a vast Fake Food iceberg. My new book Real Food, Fake Food (Algonquin) covers the gamut of food frauds and scams American consumers face today. It also celebrates the greatness of the world’s best Real Foods and explains how to get them. For my new book Real Food, Fake Food, I have spent the last few years crisscrossing the country and the globe, visiting food producers and counterfeiters, restaurants of every ilk, and meeting with experts in all sorts of related fields. What I came to realize was that just as designer handbags and high priced Swiss watches are targeted by counterfeits, so are the world’s greatest Real Foods, from champagne to caviar to lobster. In many cases, Americans consumers, even food lovers, have simply never tasted the Real things. I want readers to avoid rip-offs, but even more, I want them to celebrate how delicious and wholesome the world’s Real Foods can be. Unfortunately, it’s not just luxury foodstuffs that get knocked off. Many household staples, from juice to honey to coffee, are routinely faked. The following never before published excerpt from my new book Real Food, Fake Food (Algonquin) explains how the golden honey bear in your cabinet may be deceiving you. EXCERPT: Foods that can’t be differentiated by sight will often be faked, and honey fills the bill. But honey has other problems as well, with the pirates on one side and regulators on the other. For starters, while we know for sure there is plenty of obviously fake honey, no one agrees on what the real thing is. That sounds like honey to me, which is part of the problem. Like most consumers, I don’t know a whole lot about the intricacies of honey. The position of the American Beekeeping Federation is that real honey must have pollen, but lots of other domestic honey producers disagree and ultrafilter theirs to remove the pollen, which helps keeps the product from crystallizing. In Europe, most consumers are used to honey is this original state, but Americans vote with their dollars for the more liquid filtered version, sans pollen but with nothing necessarily added. I say “necessarily” because pollen is a fingerprint for honey that can be tested to show where the plants the bees visited lived and prove country of origin. One legitimate fear is that countries like China use the ultra-filtration or ultra-purification processes to mask the origin of the honey, which is then trans-shipped [sent to an intermediate country and re-labelled as a product of that country to disguise its real origin] and sometimes mixed with a small amount of pollinated honey, from say India, to throw off testers. Sometimes Chinese honey is cut with much cheaper corn syrup or fructose syrup to enhance profit margins, and sometimes Chinese producers even feed corn syrup to the bees to get it into the honey more “naturally.” The importation of Chinese honey was specifically banned because it is so often adulterated. Unlike the FDA, the USDA has chosen to get more precise about what honey is—sort of. They created a voluntary grading system that lets producers slap Grade A, Grade B, or Grade C on their labels, with zero enforcement. Sound familiar? The USDA did the same thing with olive oil grades, leading pretty much every producer to choose the highest extra-virgin grade designation, regardless of what was in the bottle. In this case, the USDA created very detailed honey grading rules—and lets them all be ignored. The formula scores five specific elements like moisture content and “absence of defects,” but the grading rules skip vitally important factors, such as whether non-honey ingredients (such as corn syrup) can be added. Additionally, honey and maple syrup are in a special category, and unlike almost every other product it regulates, the USDA allows the use of its grading marks without any inspections, ever (oil is theoretically subject to inspection, though it almost never is). As the Federal Register reads, “Honey does not require official inspection in order to carry official USDA grade marks and . . . there are no existing programs that require the official inspection and certification of honey.” Enforcement is based solely on responding to complaints. Honey-obsessed website Honey Traveller concluded, “Two honeys could be legally graded as Grade A honey and be identically labelled as, ‘100% Organic Clover Honey from Arizona—USDA Grade A’ yet be entirely different honeys. They could be a blend of honeys from all over the world, some heated to 180 degrees to make it easy to filter, contain antibiotics, chemicals, and corn syrup, not made from Clover at all nor actually be from plants in Arizona!” While this is often the case, the site’s claim is not entirely accurate, because there is a legal standard for the term organic in agricultural products, including honey. However, actual organic production of honey is almost impossible for producers to control because bees roam freely and choose plants that may or may not have been organically farmed. Also, “100%” is a widely misused food label term that often means a particular ingredient, not the entire produce, is 100 percent something. But the bottom line is that legal or not, “you may be paying more for honey labelled ‘certified organic’ or feel reassured by the ‘USDA Grade A’ seal, but the truth is, there are few federal standards for honey, no government certification and no consequences for making false claims. For American-made honey, the ‘organic’ boast, experts say, is highly suspect,” noted the Seattle Post-Intelligencer. “Major supermarkets offer dozens of different brands, sizes, types and flavours of honey for sale. Consumers might walk away with the finest-tasting, highest-quality honey there is. Or they could end up with an unlabelled blend, adulterated with impossible-to-detect cheap sweeteners or illegal antibiotics.” Suddenly that innocent plastic bear on your table sounds like lots of other Fake Foods. There are debates over whether or not pollen makes the honey healthier and/or tastier, so your definition of real honey depends on which side of this divide you are on. But in either case, most consumers expect real honey to contain just honey, whether filtered or not. But when the FDA opened a comment phase in 2014 on proposed draft guidelines that may someday exist, one question was whether to bar honey cut with other sweeteners from calling itself honey. If such regulation passed, it still might not stem the tide, since honey is an easily faked and expensive product that’s mostly sugar. Reports of widespread counterfeit honey, made with glucose and just enough actual honey to give it flavour, plus the occasional body parts of bees to make it look authentic, date to at least 1881. 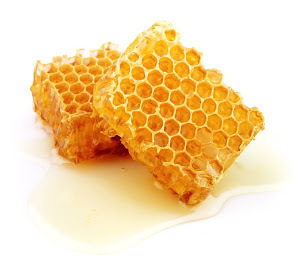 The rare and prized manuka honey, about the priciest kind, comes from bees visiting the manuka bush, found only in New Zealand and a small part of Australia, an excellent example of terroir. 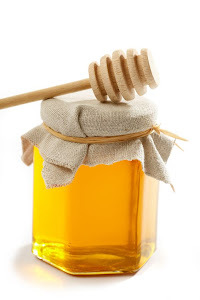 Fans believe it is both healthier and better tasting than all other honeys. It certainly costs a lot more. A 2014 investigation in the United Kingdom, where manuka honey is especially popular, found that just one of seven brands in supermarkets labelled as such was the real thing. According to a comprehensive overview of Fake Foods published in the Journal of Food Science and co-authored by Dr. John Spink, director of the Michigan State University Food Fraud Initiative, honey is the third most faked food in the world. And Americans buy and eat more honey than anyone, nearly four hundred million pounds every year. Much of the fake stuff ends up in processed “honey” flavoured foods. The FDA’s honey guy, Martin Stutsman, who also “monitors” olive oil, told USA Today that cane sugar or high-fructose corn syrup used to be most commonly used to thin honey. But an isotope test easily spotted this adulteration, so savvy counterfeiters switched to beet sugar, with a chemical profile much more similar to honey. The FDA, in turn, switched to a much more complicated, multistep test. “But once we started catching people, they create a moving target. They’ll switch to something more difficult (to detect),” said Stutsman. At least honeys cut with sugar substitutes like corn syrup and beet sugar aren’t poisonous. That’s not the case with chloramphenicol, a powerful antibiotic that can lead to a potentially fatal bone marrow disorder, the reason the drug is not is not approved for food use in the United States. But it is a common contaminant in adulterated Chinese honey. While the import of Chinese honey is banned, its price difference is big enough to make it worthwhile for smugglers to relabel and trans-ship. This can be big business for organized criminals, not just a few jars in the lining of a suitcase. One German honey distributor did this kind of illegal trans-shipment for seven years, obscuring and importing some eighty million dollars’ worth of banned and sometimes adulterated Chinese honey into the United States be- fore getting caught. “Chinese honey was often harvested early and dried by machine rather than bees,” reported Businessweek. 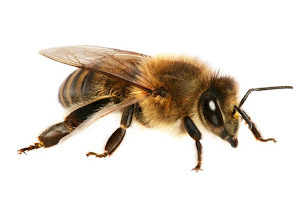 “This allowed the bees to produce more honey, but the honey often had an odour and taste similar to sauerkraut. Fan [a worker] was told to mix sugar and syrup into the honey in Taiwan to dull the pungent flavour.” Just as with the trans-shipped banned Chinese shrimp that went via Indonesia—also contaminated with dangerous and for- bidden drugs—investigators noticed a sudden spike in honey imports from Indonesia, Malaysia, and India after banning Chinese honey. The scam was so large that honey exports suddenly totalled more than those three countries produce annually, combined. Ac- cording to Businessweek, this operation was the single largest incident of food fraud in our country’s history. More accurately, it is the largest case where someone actually got caught. What’s especially sad is that it is easy to buy real honey, made by small producers all around the country, and widely available at farmers’ markets and gourmet stores. By simply avoiding big supermarket brands and buying it from someone who makes it locally, you should be safe. Excerpted from Real Food, Fake Food by Larry Olmsted, published by Algonquin Books.